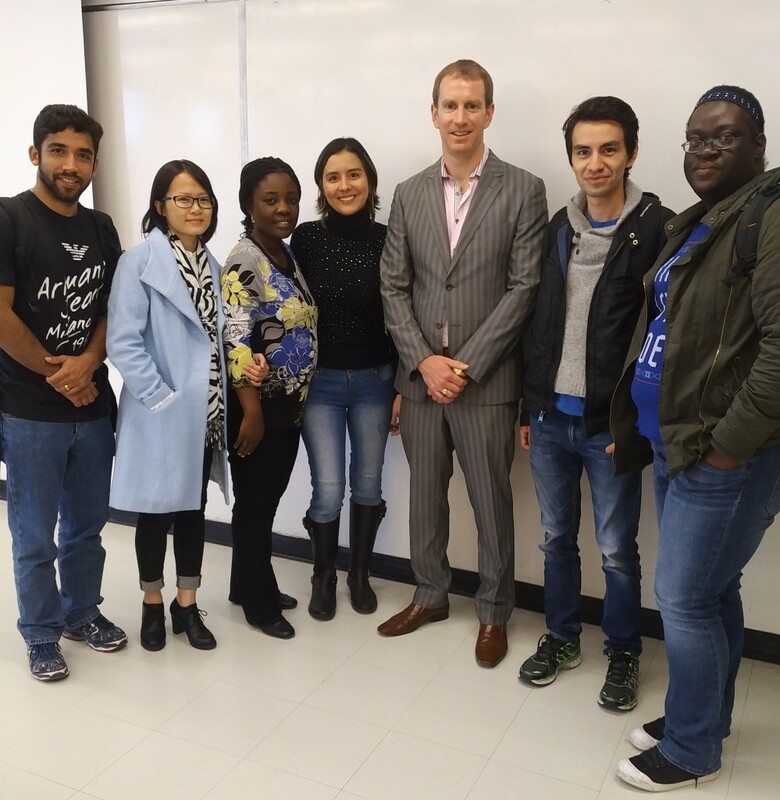 For the third time, Todd Burns, President of Cypher Environmental, was asked to give a speech to the International Business Students from Red River College. The program at Red River College is very diverse, not only in course material, but also in terms of the student enrollment. Although the program is offered in Canada, not a single Canadian student is enrolled in this year’s program, showing the diversity and applicability of the course to handle and discuss a broad range of business topics relevant to commerce globally. Therefore, Cypher’s experience doing business abroad is always of keen interest to the students and Todd is always happy to give back, being a former Red River College graduate himself. This time around, Todd’s focus of the discussion was on Cypher’s current attempt to diversify, and entering into new markets, such as in Honduras, where our soil stabilization and dust suppression technologies have recently been put to the test, as discussed in a previous blog post. While the company has had a strategy to focus on projects within industry, such as mining, there is a major focus to also move more into the municipal sector, such as the projects being completed in Honduras and other developing countries, as well as, at home here in Canada. Discussion was also had regarding the tools Cypher uses to better equip themselves to do business abroad, such as the relationship with the Canadian Trade Commissioner Service and Export Development Canada. It is great to see the high level of engagement of Red River students both during and after the presentations, which is why we never hesitate to come back. Please feel free to see the other blog posts where our previous presentations were discussed, and if interested in having someone speak to your group, please contact us.